Unai Emery has come under intense criticism in the last couple of days for failing to win any of his first two competitive matches for Arsenal. He although, almost turned the result around against Chelsea after coming back from two goals down before Chelsea finally got the third to emerge victorious. 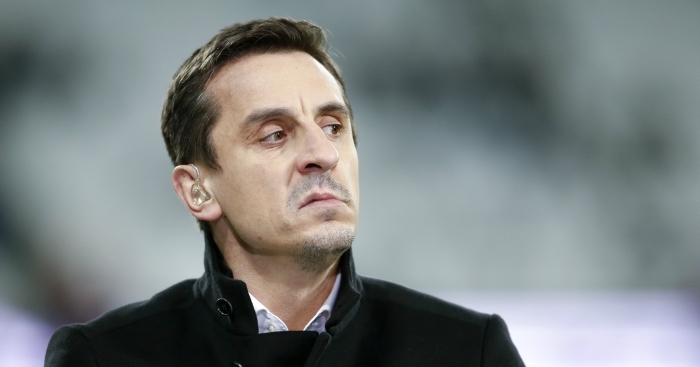 Former Manchester United right back, Garry Neville, however, thinks otherwise. He feels there are a lot of positives in their display. I have to say that one of the laziest things that I have heard over the last few days is that it is exactly the same as under Arsene Wenger. It is ridiculous to suggest that. People cannot be watching the same game. They are not always getting it right. In fact, they are quite often getting it wrong. But the idea that you can see the coaches working on is there. The back line are trying to push up with the ball, which, again, I think Arsenal have been lazy at, and we have seen them continually shift the possession. He is trying to undo quite a lot of the bad habits, to be quite honest with you, that have been going on for the last five or six years, that those players have had in them. When I think of the six versus four that Unai Emery has created in possession, they look to be in positions where, from the shape of the team, they can progress from. Forty-five seconds after the ball was at the goalkeeper’s feet playing out from the back, they end up with the ball in the back of the Chelsea net. 0 Response to "5 Key Things Unai Emery Is Doing Right Within The Squad- Garry Neville"